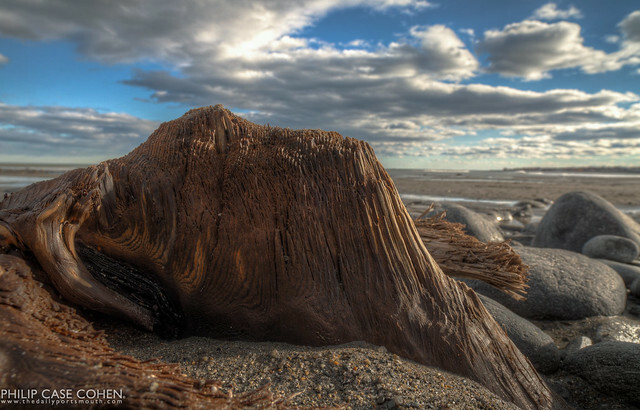 With this winter’s intense storms along the New Hampshire coastline, the storied Sunken Forest of Rye has once again become visible. These trees used to be massive in diameter, and have been carbon dated to between 3,400 and 3,800 years old. I can only imagine what this part of the world looked like back then, when land may have stretched out to the Isles of Shoals in the distance. I found some interesting information on Wikipedia here, and a quick google search will bring up others’ articles from past times they’ve become visible.